Description: Glock Model 43, 9mm semi auto pistol. 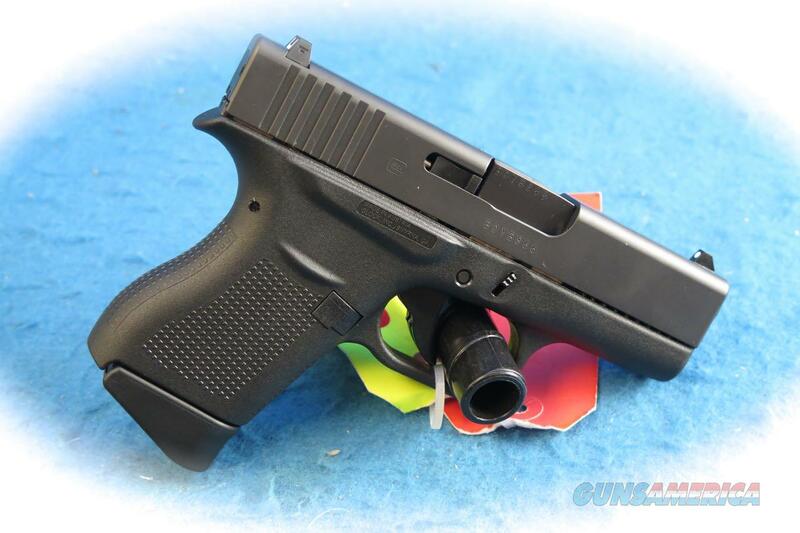 The G43 is our new single stack, 9mm pistol. The G43 is the most highly desired and anticipated release in GLOCKs history. The G43 is the answer to your everyday concealed carry needs. It's ultra-concealable, accurate and fantastic for all shooters regardless of hand size. The grip has a built in beaver tail design which allows the shooter to acquire a high and tight grip. The aggressive texture of the grip lets the shooter more easily operate the pistol. The large magazine catch allows for easy removal of the six round magazine. Engineered to the same standards, the G43 can withstand the same tortures as other GLOCK pistols.